At MESAN, we truly believe in the famous quote by Aristotle. We focus on perfecting the small components, we know that for instance, a pillow bearing exposed to the adverse environment inside a cooling tower, will not last as long as bearings mounted inside a sealed enclosure, totally isolated from the airstream, this is why our speed reducers look the way they look, we know it costs more to make them this way, but reliability and dependability always take precedence for us. 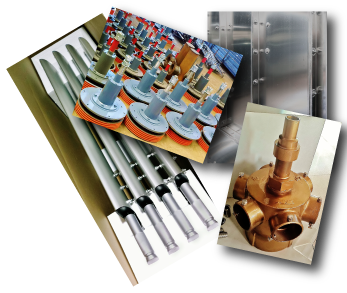 We also know that an aluminum sprinkler head never lasts more than 3 years in contact with chlorinated water inside a tower, that is why our sprinkler heads are made of brass, to last a lifetime, it costs more to manufacture them, but again, perfecting the small components is our way to achieve a “greater whole” a better cooling tower that is still competitively price.